Note: There was a problem when I scaled down these images causing some scaling artefacts. The source of the problem is known and the pictures will be rescaled correctly soon. Kew Bridge Steam Museum was originally a pumping station designed to pump water from the Thames up to a reservoir, it houses one of the largest collections of functioning steam engines in the world and the largest collection of working Cornish Beam engines. 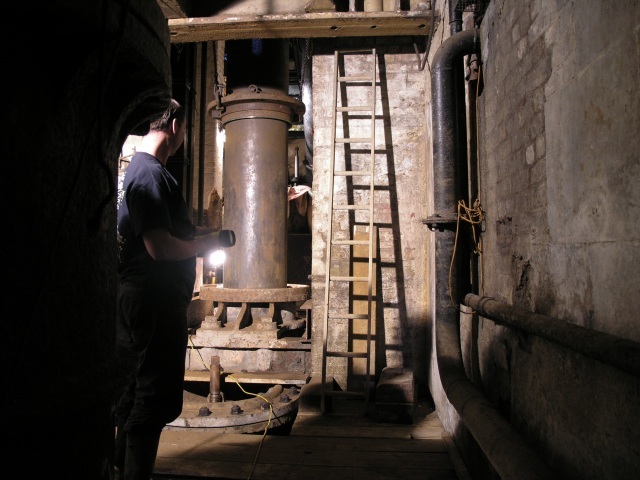 The following set of pictures were taken in the sump areas beneath these beam engines. 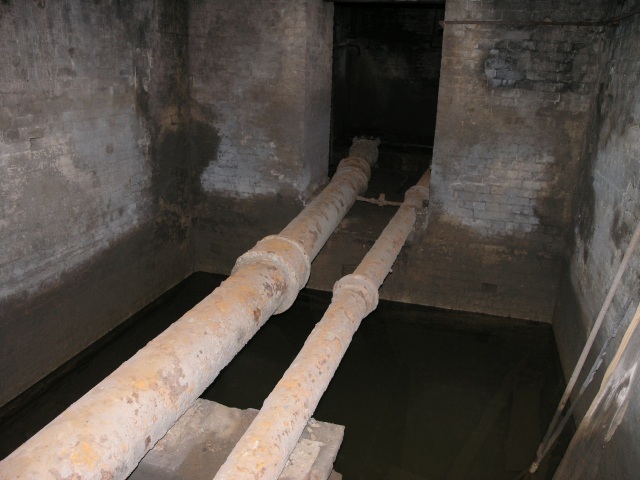 Having just climbed down through a hatch in one of the staff-only areas, this relatively open area was festooned with pipes. 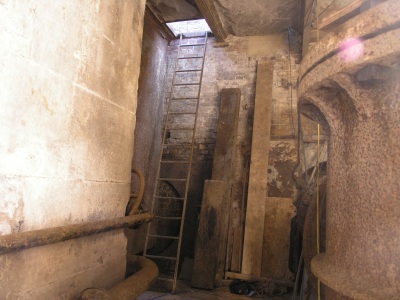 A cylinder of one of the Cornish Beam engines can be seen to the right. 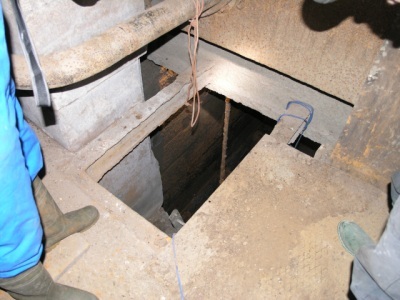 We then climbed down through a small hatch into a small sump area which had a level of watter at the bottom. 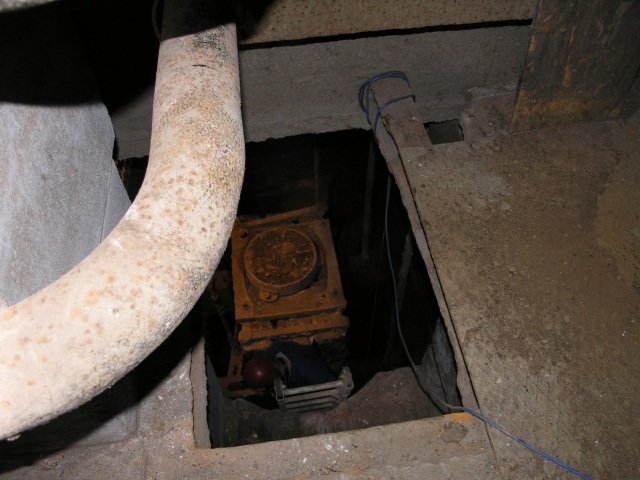 We climbed down about half way where some struts enabled us to traverse to the other side of the round object which apparently was the original water intake for the pump. Back up in the more open area, looking in the opposite direction to the ladder, even more pipes, pistons and such like could be seen. 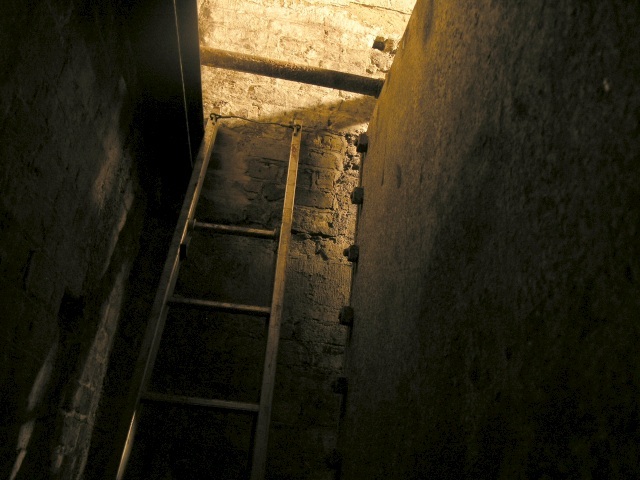 I didn't take the camera down into this level - I found it difficult enough negotiating the rusty hatches and the ladders so I decided to just go down to see what was there. 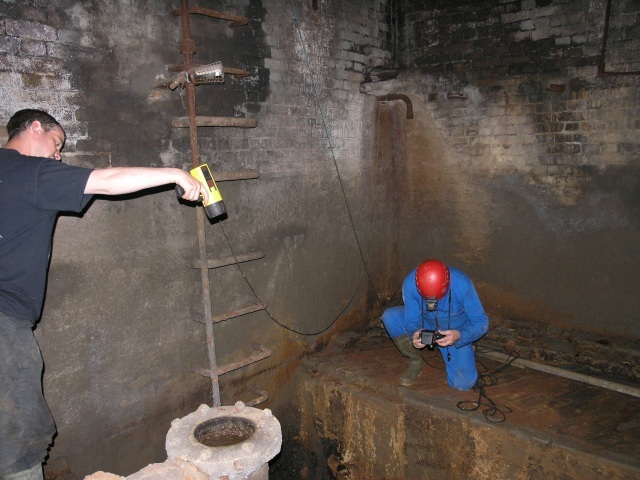 After seeing what could be seen here, another larger sump area was the next destination. This was an easier climb down than the first sump, but it did involve two levels. The first one from ground level invloved climbing down a smartly painted red ladder - obviously part of the pump that's within view of the public but by the time we reached the bottom level we were back to rickety ladders again! 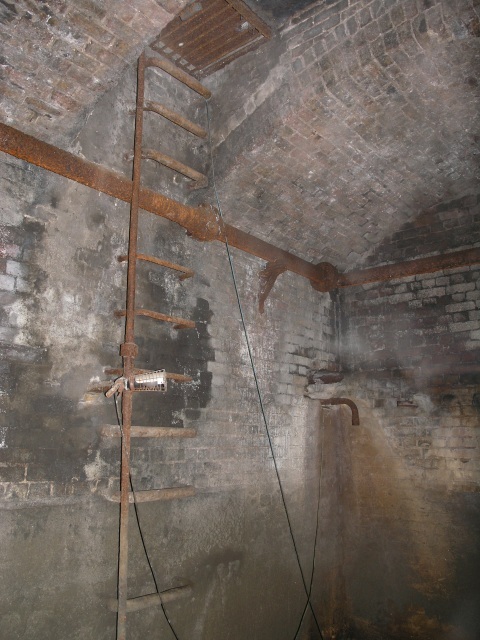 At the bottom of the second ladder was a small open space with some long disused pipe work. 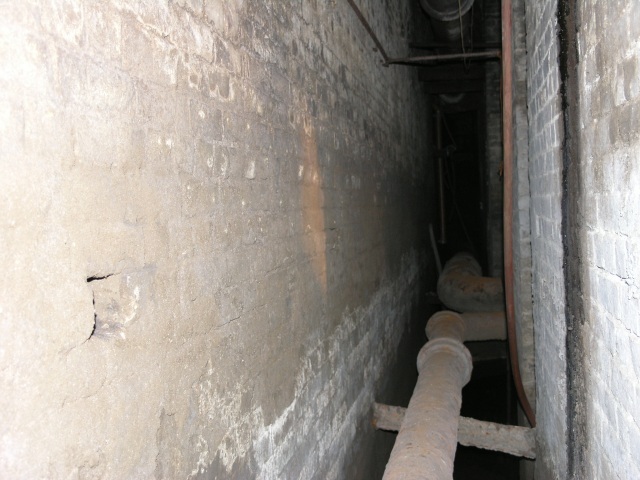 Looking round the corner revealed a pipe between two narrow walls. Beneath the pipe was water. 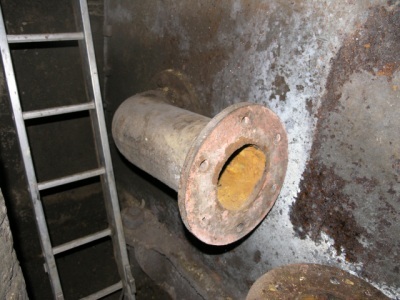 We were to balance our way along this pipe avoiding oily patches on the walls to get to the next chamber. 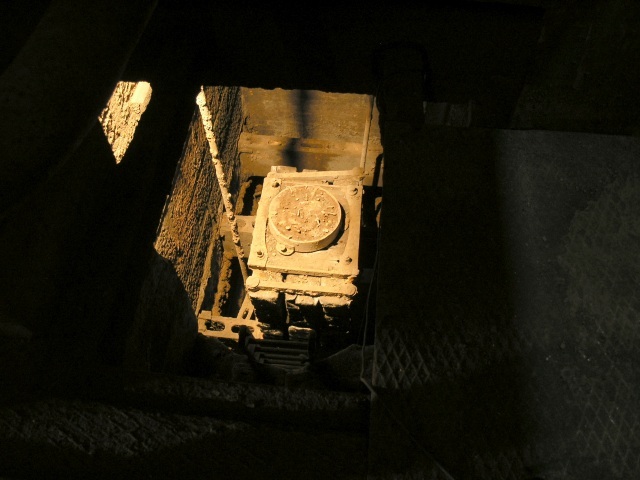 This chamber had a level of, about thigh deep. Two pipes came in from different directions and then bent 90 degrees to run in parallel with each other. It was at this point that one of the museum's volunteers discovered a solitary gold fish in the water. One of the other pools in the museum had a number of goldfish to entertain the public. One had gone missing a couple of months ago - it seems we'd just found it! Evidently the other pool and this one are linked. 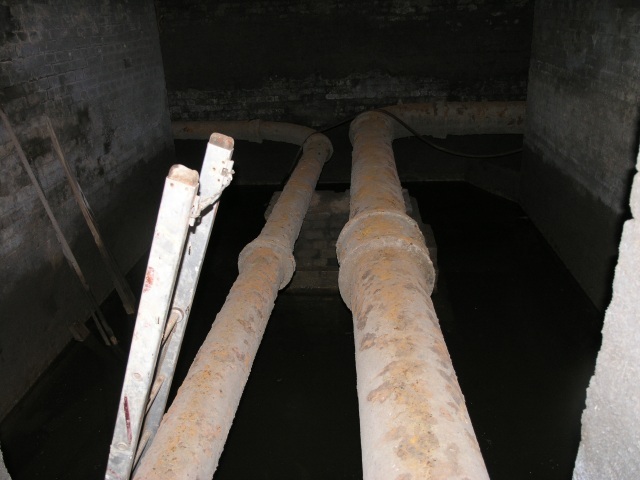 The next course of action was to jump over and stride across these pipes into the next chamber. This is where my courage bottled out on me and I was just a bit too chicken to try this manouver without practice. No matter - one of the volunteers I was with went back to the surface and got me a pair of waders and brought the ladder round so that I could climb into the water. These were just long enough - the water came to within about 5cm of their length! The last chamber was the most interesting of all. It had a rusty old ladder that ran to the surface. We weren't able to use this as it opens out into a public area and Health & Safety rules dictated that it couldn't be opened whilst the public were in the building. Besides, one slip and it would have been quite a drop. 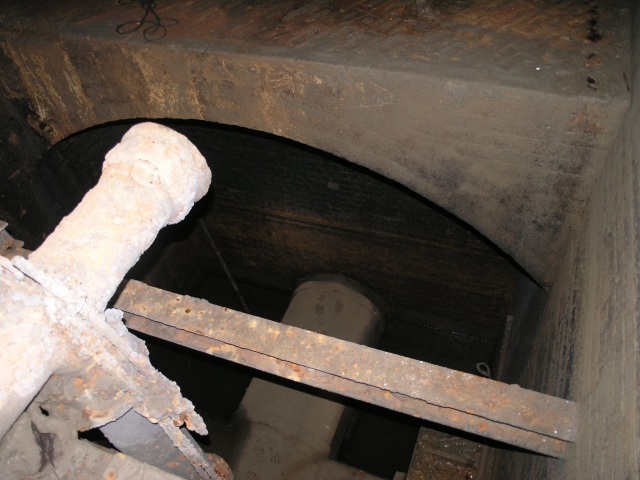 Looking down into the void, another set of pipes could be seen. These I believe are part of the water intake for the pumps. And having reached the end of the journey, it was time to retrace our path back to the surface. The silt had died down enough by now for me to be able to easily see and retrieve the lens cap.